Fracking has been the subject of many battles in the state for several years in Florida. Representative Dana Young (R-Tampa), along with a coalition of Democrats and Republicans introduced SB 442 to ban all forms of enhanced oil/gas production. The petroleum industry is coming out strong against the measure. Alameda Citizens Against Fracking (ACAF) under the leadership of Ash Lauth from the Center for Biological Diversity along with many other citizens gave public comment against the approval of the Aquifer Expansion Exemption in the Livermore Oil Field. Here’s the official announcement from the State. A rally took place in a central square in downtown Livermore before the hearing. Energy company, Cuadrilla, forced Friends of the Earth (FOE) to stop false claims. FOE flyers contained misleading information; investigated by England’s Advertising Standards Authority”. The case was dropped after FOE agrees to not repeat the claims. A. Feb 1 – House Votes to End Obama’s Coal Mining Debris Rule!! 1. Dec. 19 – Obama’s Interior finalized safeguards for stream protections and mining rules. 2. Republicans are swiftly making good on their promise to do away with Democratic values. 3. Many other measures voted in to further U.S. corporate corruption. It was proposed to be built along the Columbia River and would’ve exported 44 million tons of coal per year. Coal from Montana & Wyoming was to be exported to China. Feb 1 – Army Corps of Engineers Ordered to Approve DAPL!! Corps of Engineers to permit the project. 2. The Standing Rock tribe has vowed to fight back. Trump’s Executive Order takes precedence. Francisco to challenge the Air Board’s opposition to Rule 12-16.
processing the world’s largest threat to Climate Change. 3. A decision is forthcoming from the BAAQMD Board in May. North Dakota’s new Republican Governor, Doug Burgum, vows to finish the pipeline. He will also seek reimbursement from federal government for the police action at Standing Rock. The slate of State bills will criminalize protestors for things like wearing masks at protests and would not prosecute a driver who unintentionally injures or kills a protestor. An oil spill form the Belle Fourche Pipeline150 miles away “validates struggle”. ND Republican Senator, John Hoevens, was named Chairman of the Senate Committee on Indian Affairs. activists against fracking for Russia’s benefit. 2. In a bizarre twist Russia is accused by U.S. intelligence of working to undermine the U.S. shale revolution that ‘made America great again’. 1. Although the President-Elect met with Prime Minister Trudeau and pledged to approve the Keystone XL Pipeline quickly it remains to be seen. 2. The Executive Order 11423 dates back to the Johnson Administration and involves input from the Secretaries of Treasury, Defense, Commerce, Interior, Transportation, the Attorney General, Interstate Commerce Commission, and the Director of the Office of Emergency Planning. Rescinding the Exec. Order would give Trump sole power over the approval. 3. The pipeline application dates back to 2012, which reflected oil prices of a different era and is now largely outdated. Lower oil prices in the market may create instabilities. 4. While it would create temporary construction jobs in the U.S., it benefits Canada more in the form of lowered oil transport costs. 5. Renegotiating NAFTA may play a role in how quickly the pipeline can be approved. 6. He claims that Canada’s Climate Leadership Plan and Carbon Tax regulations cover enough environmental oversight that the U.S. can assist them getting their oil to markets. 1. California status of “exceptional drought” has now been reomoved. 3. Most reservoirs are much better but ground water is still a long term issue. Legislation introduced on first day of business will reverse congress’ commitment to wild refuges. The goal is to move water through the Delta with fewer constraints under the Endangered Species Act. On Jan. 11, a Massachusetts judge denied Exxon’s suit against the state Attorney General’s subpoenas for the company’s research information on Climate Change. A coalition of Attorney General’s from 16 states, including the U.S. Virgin Islands, filed suit in March 2016, against the company for concealing information from its shareholders and disseminating false information for profits. The States: Massachusetts, New York, California, Connecticut, District of Columbia, Illinois, Iowa, Maine Minnesota, New Mexico, Oregon, Rhode Island, Virginia, Vermont, Washington, and U.S. Virgin Islands. So far, Exxon has cooperated with the AG, but it’s getting more difficult for the company, especially as Trump’s cabinet is being approved, e.g. Rex Tillerson for Sec. of State. particulate matter, combustion products, ozone and volatile organic compounds. goals for future years like 2020, 2030, 2050, and the challenges of meeting those goals. In his Senate Confirmation hearing for Secretary of State he admitted “the increase in greenhouse gas concentration in the atmosphere are having an effect”, but, “Our ability to predict that effect is very limited”. He leaves it up to Trump to decide on the U.S. remaining in or pulling out of the Paris Agreement. He refused to answer for Exxon about what they knew in 1970 and spent millions for the next 40 years lobbying and denying Climate Change, for which the company is being sued. Trump, Climate Change Contrarians, & Denial. Birds rely on their knowledge of when and where to migrate but changes in climate make for difficulties finding the expected resources at destinations. Changes in vegetation, food supplies make stopovers less favorable. the weed killer, Round Up, to be labeled as a cancer threat. 2. The judge will issue a formal decision soon and the company has one year to comply. 3. Monsanto plans to appeal the ruling. agency will only ask for voluntary usage guidelines. 2. Many studies have shown the acute and chronic effects on honey bees and other species. Monsanto merger with Bayer (Germany’s largest pesticide/seeds corp.) met with Pres-Elect Trump. The Administration’s new Attorney General, Jeff Sessions, will be called upon to enforce anti-trust laws. Agricultural mergers are said to raise prices for farmers and possibly be unfavorable for research and development. is not spelled out as an “order”. “executive actions”, and “presidential memorandums”. Franklin Roosevelt’s Internment of Japanese Americans. 4. They are subject to judicial review, can be struck down, and certainly can be challenged. California and the Colorado River connection. 3. Check out the video in the web site. The EPA denies petitions to change or pause the plan to cut carbon emissions. States, industries, and others claimed in 2015 that the final rule morphed from its initial announcement that became too stringent causing the Supreme Court in 2016 to pause implementation. EPA’’s response in complying wutg judicial procedures, the petitions’ denial clears the constitutionality question for the time being. The Plan held as unconstitutional by opposition. D. Jan 6 – Ryan Zinke, Trump’s Pick for Head of Interior Dept. Born and raised in small-town Montana, served 23-years as Navy Seal, was elected for two terms as State Senator, and two as Lieutenant Governor. He has strong natural conservation awareness and is likely to disagree with Trump policy. As a politician he has accepted contributions from oil & gas companies and has voted to ease the transition of federal lands to states. 1. The House sneakily passed a bill that will set much lower standards for all future environmental, public health, consumer protection, labor & occupational safety, and civil rights law. 2. The REINS Act (Regulations from the Executive In Need of Scrutiny of 2017) will require Congress to approve every bill within 70 days making it impossible to do justice to any complex technical, scientific, or controversial rules. 3. It also gives Congress the power to kill any bill that has an economic impact of $100 million. 5. It’s not expected to pass the Senate. Located in San Francisco, emphasizes community projects and promotes ecological awareness. The environmental center of leadership and events in Berkeley. Long-time Berkeley nonprofit focusing on health and environmental impacts. The Bay Area umbrella organization for local and national activism. No Dig, Jan 9: New park community meeting, Is 8 Washington development back? Francisco Park will occupy the old reservoir site at Hyde & Francisco Sts. This meeting will present the preliminary design and welcome feedback from attendees. Please review past Community Meeting Presentations and then complete the Design Survey. Is 8 Washington development back? Jewelry and Gin! Diamonds and Whiskey! Come drink the night away with us as we celebrate Christmas, Channukah, Solstice, and whatever else you want. Cocktails and food served till we are out, Christmas music kept to a minimum. Wear a Santa hat, yarmulka, or Trump mask. 20 percent drunken discounts on Jewelry all night long. Free long-winded epic monologues about Art given by host Daniel Macchiarini till midnight. Holiday PopUp Shop featuring local artisans, get those last-minute gifts. Sierra Club members, be sure to vote for the endorsed SF Chapter Executive Committee slate: Sheila Chung Hagen, Becky Evans, Katherine Howard, and Linda Weiner. This election is contested and there is a slate of pro-development candidates — don’t be fooled! Voting closes this Friday, Dec 16. How to vote and more info. Event tonight: What the Hell Just Happened? Please join Supervisor David Campos, political strategists Sunny Angulo and Jim Stearns, and author/activist David Talbot for a panel discussion about local and national election results, moderated by comedian/activist Yayne Abeba. After the November 8 election the Board of Supervisors will shift to a 5–6 minority of progressives. Progressive winners were Sandra Fewer of D1, Aaron Peskin of D3, Norman Yee of D7, and Hillary Ronen of D9. Jane Kim in D6 is the fifth progressive. Suppose progressive leaders like Aaron Peskin and Jane Kim were active supporters of Kim Alvarenga in D11 and Dean Preston in D5. [Alvarenga lost by 413 votes at 51%–49%. Preston lost by a small margin as well.] If the progressive leadership had been united behind them, that probably would have made the difference. Listen to this informative (and humorous) podcast by Tom Ammiano and Tim Redmond, covering local Supe races and more. The “Three Moms” – Sandra Fewer D1, Hillary Ronen D9, Kim Alvarenga D11. The “Three Moms” running for District Supervisor – Sandra Fewer D1, Hillary Ronen D9, Kim Alvarenga D11. Their support comes from neighbors and friends, not from corporate interests. They are committed to working hard for District residents and not for those who think San Francisco is For Sale. Unfortunately, Kim Alvarenga was bested by a candidate funded by over $1.1 million real-estate/tech money, who won by only 413 votes! 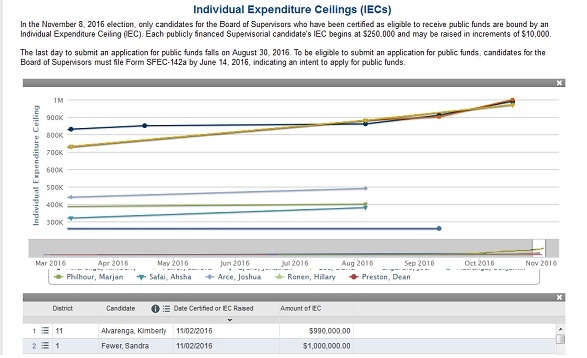 Sandra Fewer also faced a candidate backed by over $1.1 million real-estate/tech money but won the contest decisively. Hillary Ronen had a well-funded and well-organized campaign, and a weak opponent — real-estate/tech money stayed away from this race and of course Hillary Ronen won easily. Don’t be fooled by this pro-real-estate slate. If you are a Sierra Club member vote for the slate of environmental leaders: Sheila Chung Hagen, Becky Evans, Katherine Howard, and Linda Weiner. Voting is open now until Friday, December 16th. Click here for more info. YIMBY Party, which wants more luxury housing, tries to take control of influential local environmental group. The Jill Stein Presidential recount can proceed in Wisconsin, Michigan, Pennsylvania. The recount will need more donations since on Monday WI upped the cost by $2.5 million. The first Friday evening of each month North Beach art galleries are open to all. Organized by District 3 Supervisor Aaron Peskin’s Office in partnership with the SF Dept of Public Works. DPW will provide bags & trash pickers, and we’ll provide the positive energy to walk through surrounding streets and alleyways to clean up the ‘hood. Follow rangers and staff on a walk from Chinatown to San Francisco Maritime National Historical Park. Learn how early 20th century immigrants from Chinatown got jobs working in the salmon canneries, voyaging on the park’s historic cargo ship Balclutha, from SF to Alaska. Take in the bustling streets of Chinatown while learning a bit of Maritime history. NOTE: The walk will continue along city streets and will end at the Hyde Street Pier. This program will be translated into Cantonese by a live translator. Holy Guacamole! Real-estate and tech money is flowing into District 1 and District 11 Supervisor races, making opponents of Sandra Fewer (D1) and Kim Alvarenga (D11) rich as heck. As of this writing each opponent has about $1 million! Real-estate and tech interests, including SF and Silicon Valley tech moguls, and SF realtors, have given generously to buy a Board of Supervisors seat. They have set their sights on District 1 and District 11. See this October 14 story that traces the money, from the tech or real-estate donor’s check to the 3rd party or IE fund. Note that in the article the $375K of 3rd party money in each of the D1 and D11 campaigns, as of mid-October, has grown to about $700K each as of November 2, with more being added each day as Nov 8 approaches. More at In the news. Tues, Nov 8 Election Day. Vote at your polling place or at City Hall rm 48, 7am — 8pm. Haven’t voted yet? Download The SF Bay Guardian’s Clean Slate. Print this and bring it with you to the polling place. Below are the Ed Lee / Real-estate / Tech mogul candidates running for District Supervisor: Marjan Philhour D1, Josh Arce D9, and Ahsha Safai D11 (shown with Mayor Ed Lee). 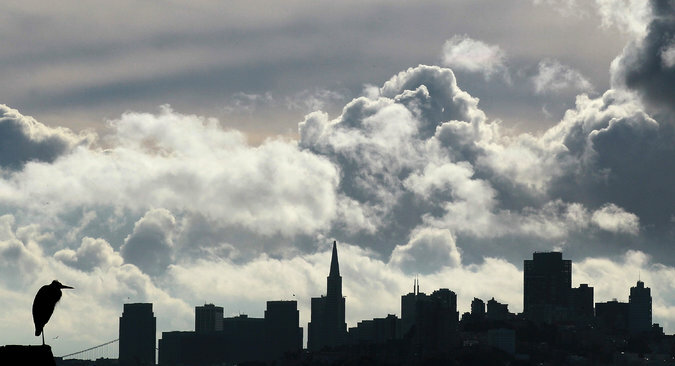 All think San Francisco is For Sale. The Ed Lee/Real-estate / Tech mogul candidates: Marjan Philhour D1, Josh Arce D9, and Ahsha Safai D11 shown with Mayor Ed Lee. Each currently has about $400K backing from Real-estate/tech interests: Ron Conway, Airbnb, Salesforce, and every tech giant in the area. This backing could increase dramatically for each candidate by Election day. This is three times the funding that the “Three Moms” each have. For news stories on the huge real-estate/tech cash infusion into SF 2016 ballot candidates and measures see the Oct 14 stories at In The News. The bottom line: Ed Lee and his backers want to buy at least one Supervisor seat. Are they doing this because they care about the people who live in Districts 1, 9, and 11? Heck no. They want to shift the balance on the Board of Supervisors to non-progressive and push through legislation that benefits real estate, Airbnb and other tech and “Company Town” interests. Unfortunately, this will be at the expense of residents of Districts 1, 9, and 11 who want a Supervisor who will look after local needs. The loss of the progressive majority on the BoS will also affect all San Franciscans, especially renters who fear losing their homes to real estate speculation and getting priced out by an influx of the wealthy. Do you remember the last time Ed Lee and his backers tried to buy the election for a District Supervisor? Ed Lee and Julie Christensen, his appointed D3 Supervisor who lost her bid for a full term to Aaron Peskin. Photo from Election day 2015. Right, Julie Christensen who was District 3 Supervisor for 11 months and voted in the BoS as directed by Mayor Ed Lee and his backers. There was one occasion at a BoS meeting where she said she had decided earlier to vote Yes (on a progressive measure) before she decided to vote No. Expect the same if one of the Mayor’s chosen Supervisor candidates is elected. Christensen and Ed Lee lost to Aaron Peskin in 2015. All the money showered on Christensen and Lee couldn’t overcome the power of District 3 residents and their friends walking the precincts and phoning voters. Gotta do that again this election. What is ReCoTown? This blog recently wrote about “Moderates” and several readers pointed out they are anything but moderate. They are real estate, tech and corporate interests whose first priority is making money off of San Francisco real estate, and making sure the city will continue to house their high-paid workers while pushing out regular folks who have lived here for decades if not their whole lives. The word ReCoTown (Real-estate/Company-town folks) comes from Real-estate and “Company Town,” the title of a new documentary about a divided San Francisco in the 2015 election. Since last week things have heated up in SF elections for Supervisors, State Senate, and ballot measures. Check out the numerous election news items. Confused by all the letters of the alphabet for measures that will take hours to understand? Vote the Easy Way – Vote No on P O U R Q – no pork! Vote Yes on all other measures. The City has been bought by developer, real-estate, and other wealthy interests. To stem the flow of sold-off influence, measures D, H, L and M have been put before the voters on the November ballot. Tempering the City’s give-away to wealthy interests and returning more control to residents’ interests can be accomplished by voting Yes on Props D, H, L and M.
Contrast this with the San Francisco Democratic Party’s Official Nov 2016 Ballot Endorsements which recommend Yes on D, H, L and M.
More at SF ballot measures. All parties concerned about construction of the proposed project at 115 Telegraph Hill Boulevard are urged to attend this public meeting of the Transportation Advisory Staff Committee (TASC). Because TASC is not considering this matter as a public hearing, we understand that there may not be an opportunity for public comment at this meeting. If not, a strong turnout is especially important as an indicator of neighborhood concern. At the meeting, TASC will review the construction management plan for the project, including plans for (a) maintaining MUNI, pedestrian, and vehicular access, including MUNI and emergency services access to Telegraph Hill Boulevard and Coit Tower; (b) providing a dedicated pedestrian path of travel along Telegraph Hill Blvd and Filbert Street; (c) truck routing and staging; (d) construction parking; and (e) general traffic management, including coordination with city agencies and Garfield Elementary. Copies of the developers latest proposed staging and truck routes and their construction management diagram are linked below. Need to register to vote? Mon, Oct 24 is the last day to register to vote. Do it online. Tues, Oct 11 Early voting begins, City Hall rm 48. M-F 8–5, Sa-Su 10–4. Mon, Oct 24 Last day to register to vote. Do it online.